Securely store and version your project with AWS CodeCommit. 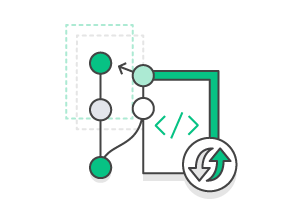 In this project, you will learn how to migrate an existing Git repository or unversioned local content to AWS CodeCommit, a fully-managed source control service that makes it easy for companies to host secure and highly scalable private Git repositories. This project also includes instructions for successfully migrating very large repositories to CodeCommit. The benefits of hosting your source code with CodeCommit include its fully-managed experience, security, high availability, and extensibility with your existing tools. CodeCommit also has an AWS Free Tier Offer for new CodeCommit users. Create a private Git repository using AWS CodeCommit. This is the destination where your project will be hosted. Migrate your project to your CodeCommit repository. You can migrate either an existing Git repository or an unversioned project that is stored locally. For very large migrations, you can follow our instructions on how to use a script to migrate the repository incrementally. An AWS Account: You will need an AWS account to begin using CodeCommit. Sign up for AWS. Git repository or local content: An existing Git repository or local project that you would like to migrate is recommended but not required. This guide includes a sample repository which you can use for the migration as practice. Git Experience: Prior experience with Git is recommended. AWS Experience: Prior experience with AWS is recommended but not required. The total cost of hosting your project with AWS CodeCommit will vary depending on your usage. Anyone with an AWS account can get started with AWS CodeCommit for free. Your account gets 5 active users per month for free (within limits), after which you pay $1 per additional active user per month. There are no upfront fees or commitments. This AWS Free Tier offer for AWS CodeCommit is available to both new and existing AWS customers indefinitely, and does not expire at the end of the standard 12 month Free Tier term. To see a breakdown of the services used and their associated costs, see Services Used and Costs. 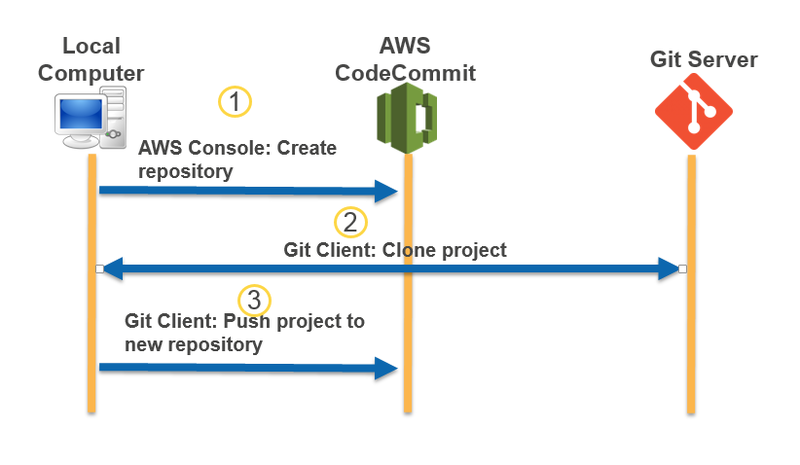 Migrate a Git repository to AWS CodeCommit with help from industry-leading tools and experts. Visit the documentation for more information on how to start using AWS CodeCommit.